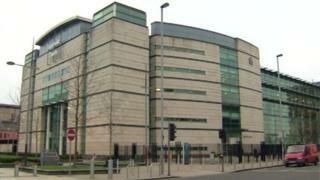 A man is due before Belfast Magistrates’ Court on Saturday charged with terror-related offences. The 52-year-old was arrested after a vehicle was stopped on the Stewartstown Road in west Belfast on Thursday. He is charged with membership of a proscribed organisation, processing information likely to be of use to terrorists, and possessing a firearm. Knickers the giant cow: why do some animals grow so big?